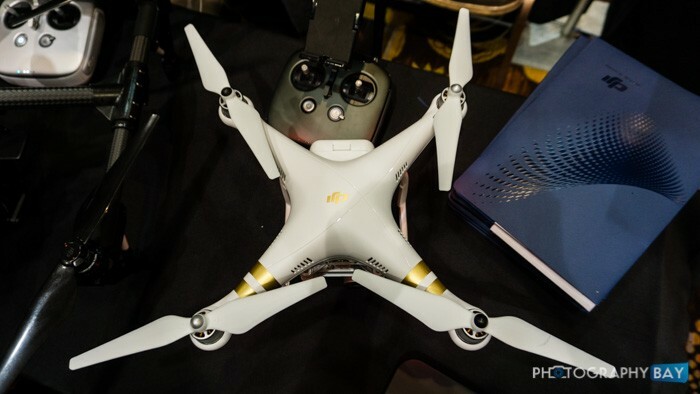 Last year, we saw DJI introduce a trio of Phantom 3 models that spanned from the entry-level Phantom 3 Standard to the mid-range Phantom 3 Advanced and the top-end Phantom 3 Professional, which was the only drone to feature a 4K camera. 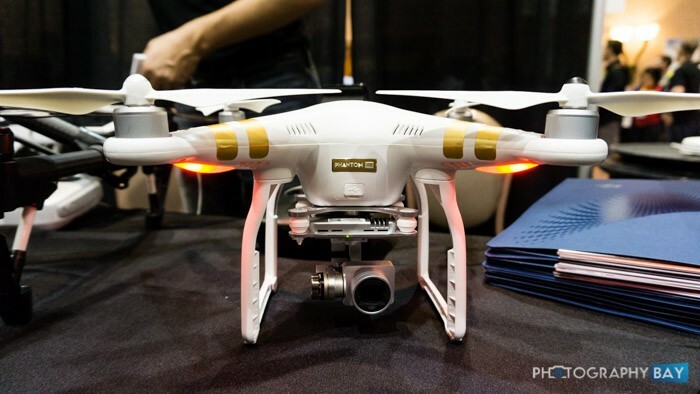 At CES 2016, DJI has introduced the new Phantom 3 4K, which matches the resolution of the Professional model at a lower price point. 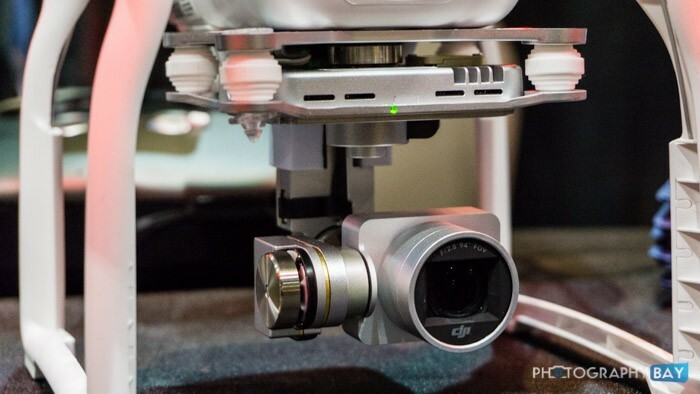 In terms of video quality, the Phantom 3 4K captures 4096 x 2160p at 24/25p and 3840 x 2160 at 24/25/30p. 1080p resolution can be captured at 24/25/30/48/50/60p frame rates (same as the Professional). The max bitrate is 60Mbps, recorded to a microSD card up to 64GB in capacity. Both models use the Sony Exmor R BSI 1/2.3″ 12.4MP image sensor with an equivalent 20mm f/2.8 lens. Still images can be captured in JPEG or DNG formats. It transmits live video using the DJI GO mobile app to an iOS or Android device, which is mounted on the controller while you fly. The flight time is approximately 25 minutes on a fully charged 4480 mAh LiPo 4S battery. 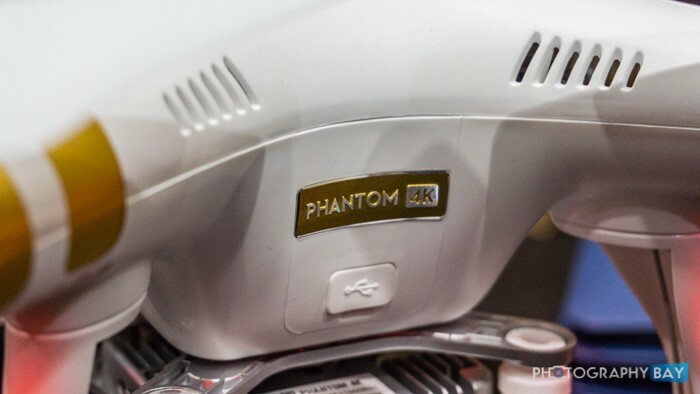 There are only a couple of downsides in choosing the new Phantom 3 4K over last year’s Phantom 3 Professional. Most notably, the new Phantom 3 4K features a 2.4GHz video downlink for live viewing, while the Professional uses DJI Lightbridge video downlink. The difference is a limited range and resolution on your remote display. Lightrbridge offers a 5km range, while 2.4GHz WiFi maxes out at 1.2km. Also, the video transmission is limited to 480p over WiFi on the Phantom 3 4K, while the Professional model can transmit up to 720p. 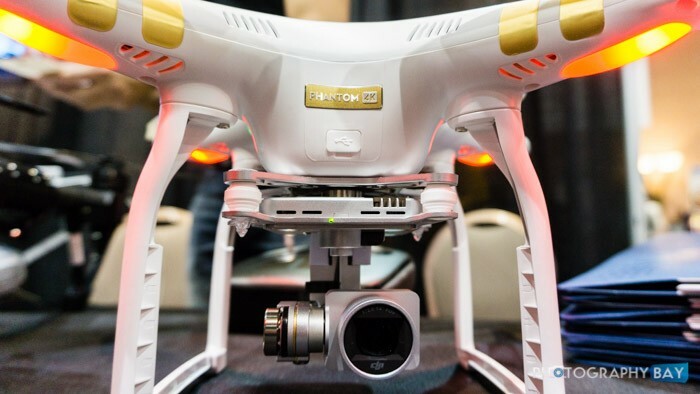 The DJI Phantom 3 4K retails for $799 and should be available in the coming days. Check it out here at B&H Photo.